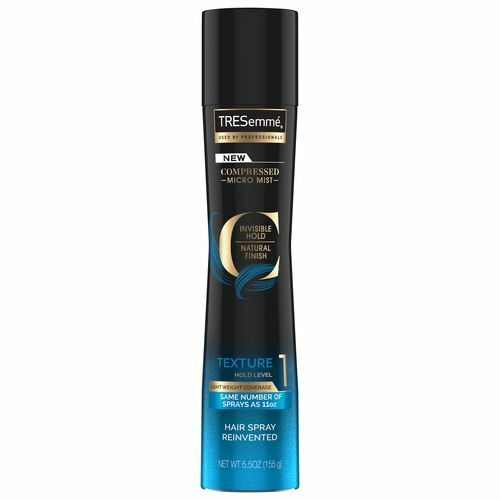 What’s a look without texture? One thing we know for sure: We can always count on the Jonathan Simkhai show to have beautiful clothes and a fresh spin on textured hair. Season after season, the creative direction of the collections has always celebrated some form of texture, and for Fall 2019, it’s safe to say that texture is still in. The tousled low ponytail style from this presentation is one you’ll definitely want in rotation for every event on your agenda. 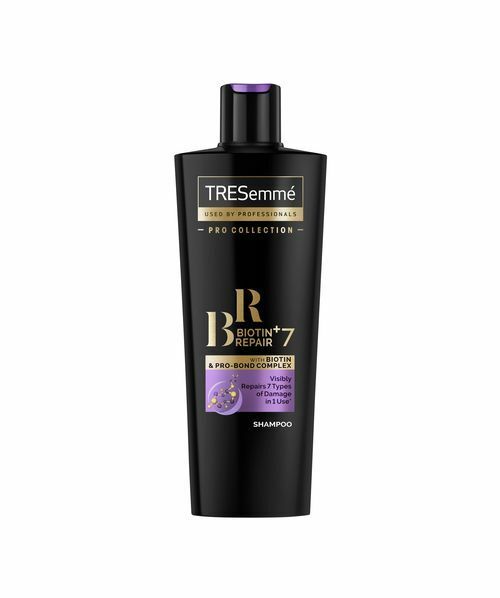 Step 1: Start by washing hair with TRESemmé Repair & Protect 7 Shampoo and Conditioner to create a fresh and healthy foundation. 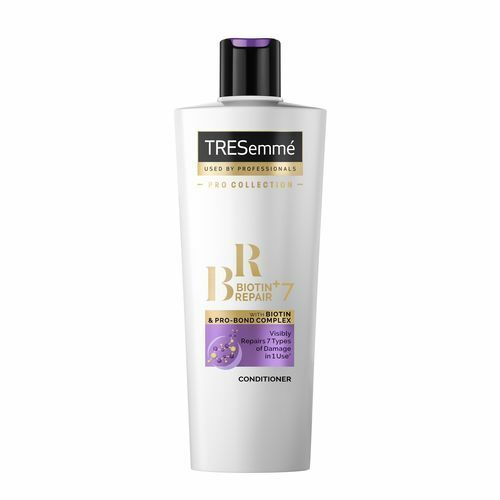 Step 2: Part the hair in the center and use TRESemmé Moisture Rich Detangling Spray before blow-drying with a diffuser for a natural finish. Step 3: Take a small section of hair above the nape of the neck, braid and then secure with a small hair tie to hold in position. 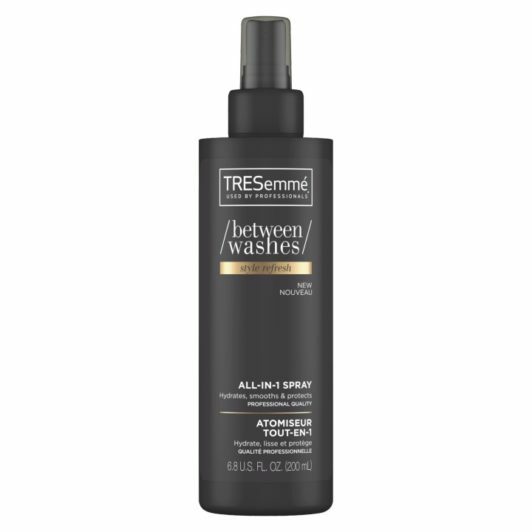 Step 4: Spray hair with TRESemmé Between Washes Style Refresh All-In-1 Spray to enhance the natural texture. 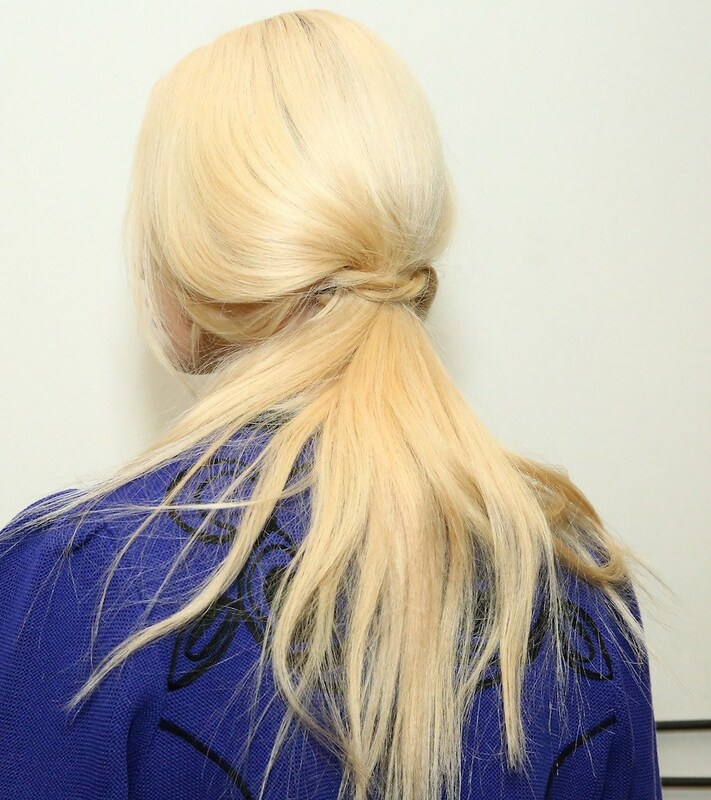 Step 5: Take two small sections of hair either side of the braid and knot together to create a low ponytail, securing ends with French pins underneath. 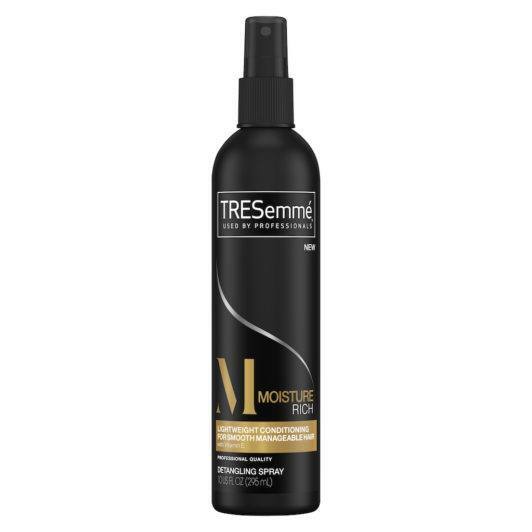 Step 6: Finish the tousled low ponytail with TRESemmé Compressed Micro Mist Hairspray Texture Hold Level 1 and use hands to pull front sections of hair for a soft and natural finish. 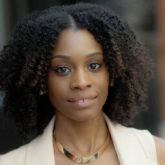 Get the sharp part NYFW trend!